I would like to start off with apologizing. I got a little wrapped up in getting back into the swing of things, and was missing Costa Rica a little bit so didn’t quite feel like writing about it and reminding myself of all the wonderful time I had spent there. Now I am in a better space to reflect and feeling less like I am torturing myself while I freeze to death in Canada knowing it is beautiful hot and sunny in Costa Rica. Anyways…the vacation! After four short weeks of yoga teacher training, meeting so many amazing people, and learning so many amazing things it was time to relax and unwind and see my husband again. After graduation from Yoga Teacher Training and attending my last morning class of the month, I saddled up and hopped on the shuttle to the airport to pick up my husband, his flight arrived on time and we jumped in a cab and headed off to our home for the week. 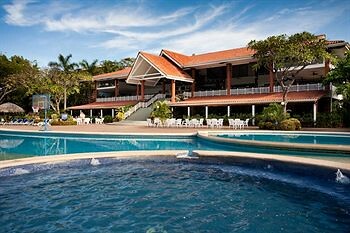 We stayed at the Barcelo Langosta Beach Hotel in Tamarindo. After the time spent in the jungle I was more than happy to be living somewhere that was more built up and touristy. Tourist hot spots aren’t always my preferred destination but it felt nice to feel like I had to wear nicer clothing and shouldn’t be walking around in my yoga pants all day. The first two days of our vacation were spent being the laziest sacks alive. We chatted and read, and napped and ate and went on short exploration walks along the beach, but nothing that would over exert us. We were just happy to see each other and get some napping in. After all our napping, relaxing, drinking, eating and general all around laziness. We did make sure to hop into the gym a couple of times. I was seriously missing my regular weight training routine and I was ready to start lifting heavy things again, and it was nice to have a partner in the gym. Then it was time for our big adventure. We purchased an excursion up to Playa Flamingo and then hopped on some ATV’s and headed off on our adventure. Taking us all around, up hills, through streams and so much off roading we then arrived at our first destination, the tree top zip lining adventure. 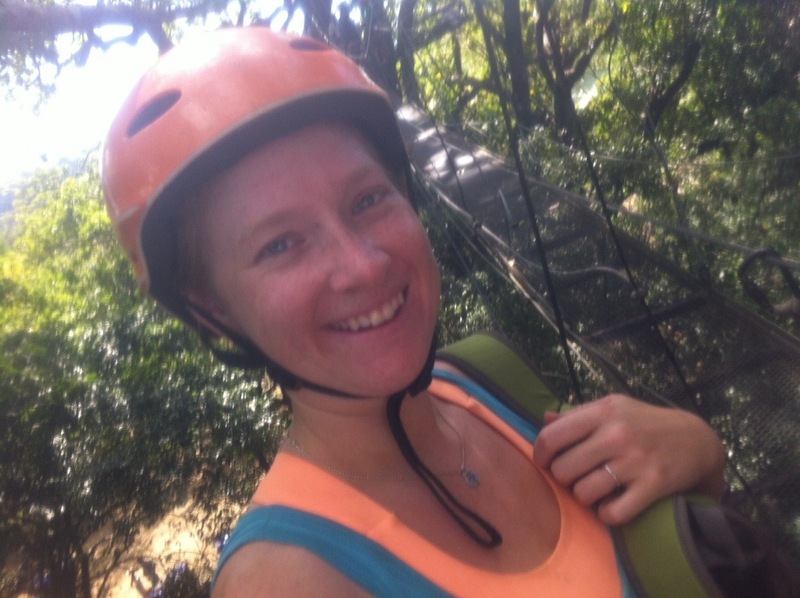 Zip lining was one of those things I kept telling myself I could do, it wouldn’t be too scary right, you are only literally in the tree tops, suspended on a cable that was safety checked god knows how long ago, it will be fine…right? Well my husband really wanted to do it, and I do attempt to do things that scare me regularly so I figured zip lining could count for like 10 things. Well I did it and it wasn’t terrifying, it was so much fun. After the first line it was all just so exhilarating not terrifying in the slightest…well maybe a little but perhaps that was some of the fun of it. The rest of our week was spent playing card games, catching up on reading, basking in the sun, hiding from the sun, and many a margarita. It was a pretty wonderful time and on days like to day when it feels like the world is freezing over I am definitely missing it. 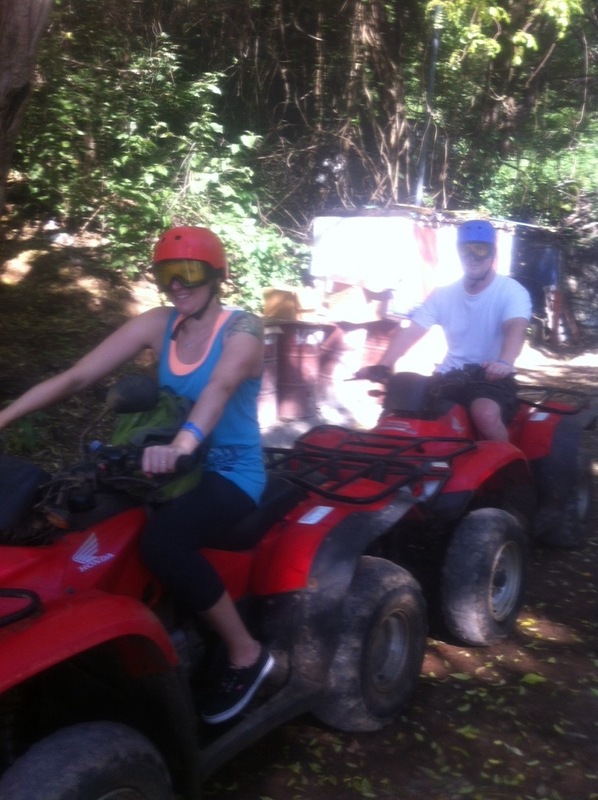 This entry was posted in General and tagged adventure, atv, Costa Rica, mountain, ocean, sun, vacation, ziplining by healingginger. Bookmark the permalink. Seems you have really enjoyed this Costa Rica trip.I to wanna to go there and also i heard about yoga ,they give best retreat with it.